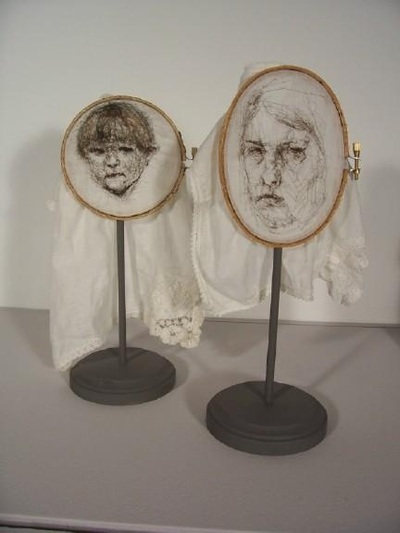 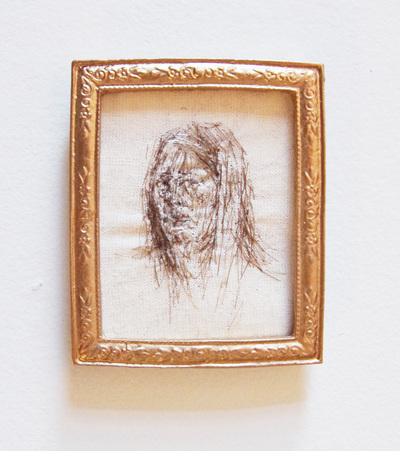 These drawings are all made with hair. 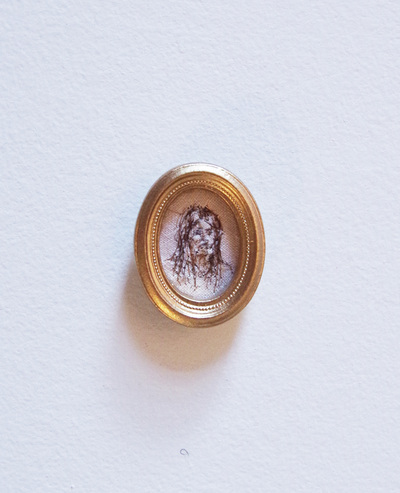 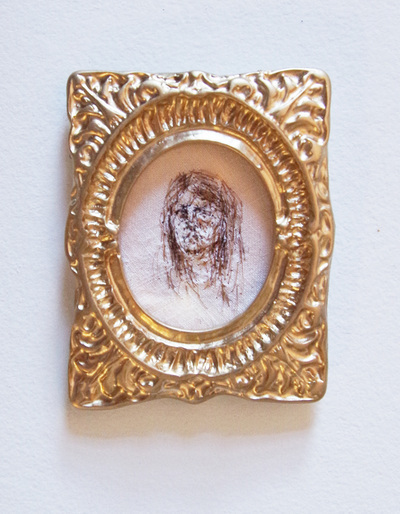 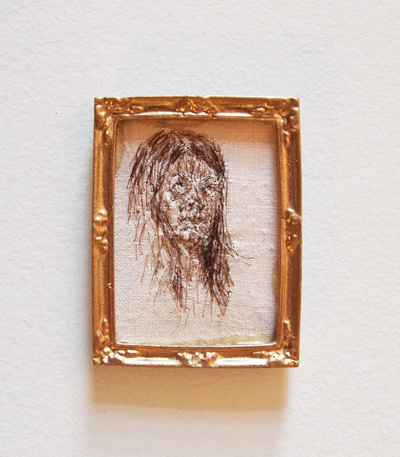 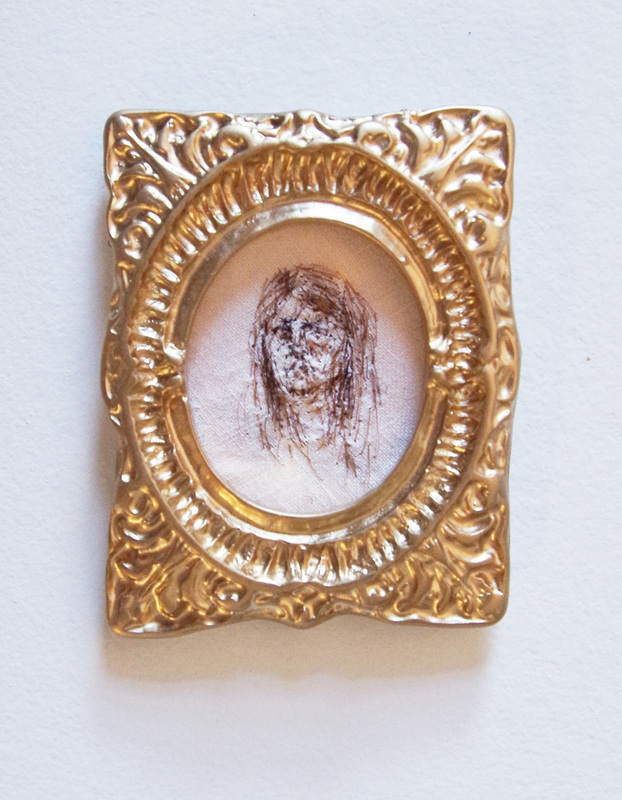 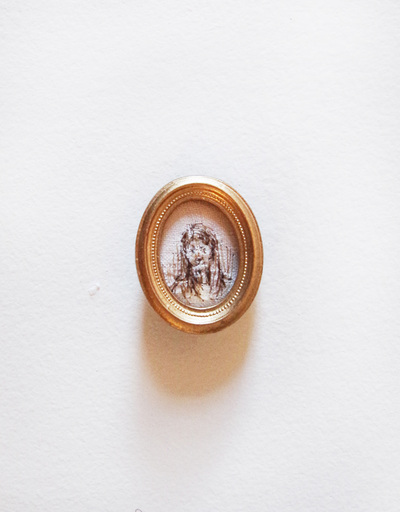 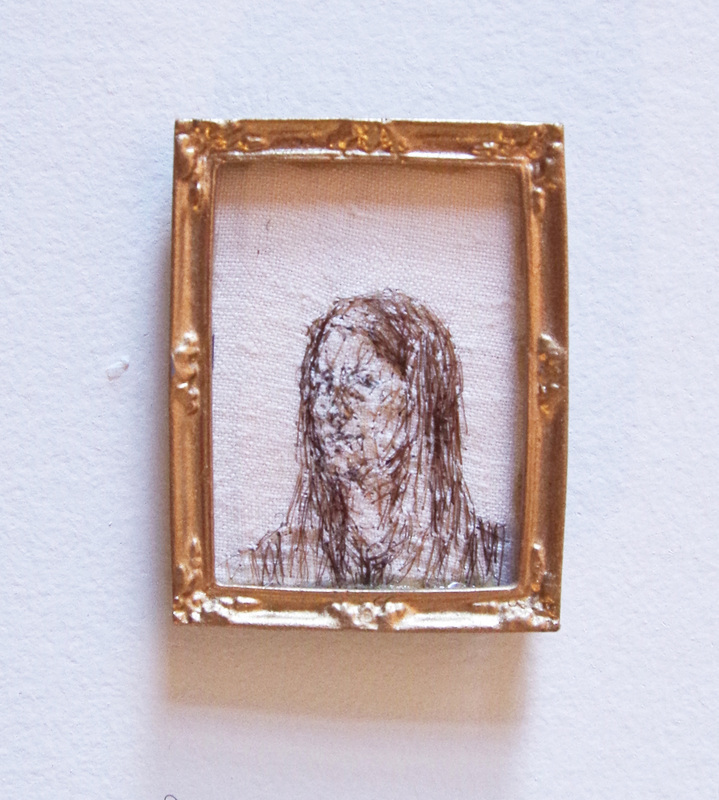 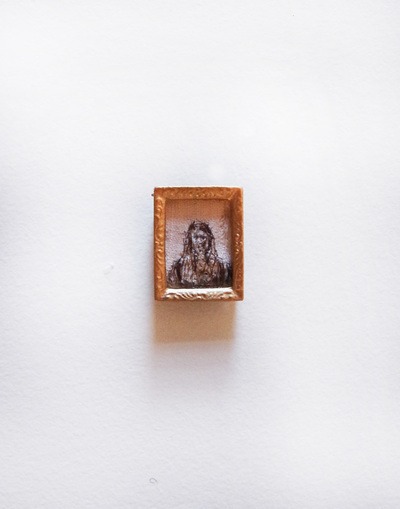 The miniature self-portraits (2012-2014) are framed in tiny dollhouse frames. 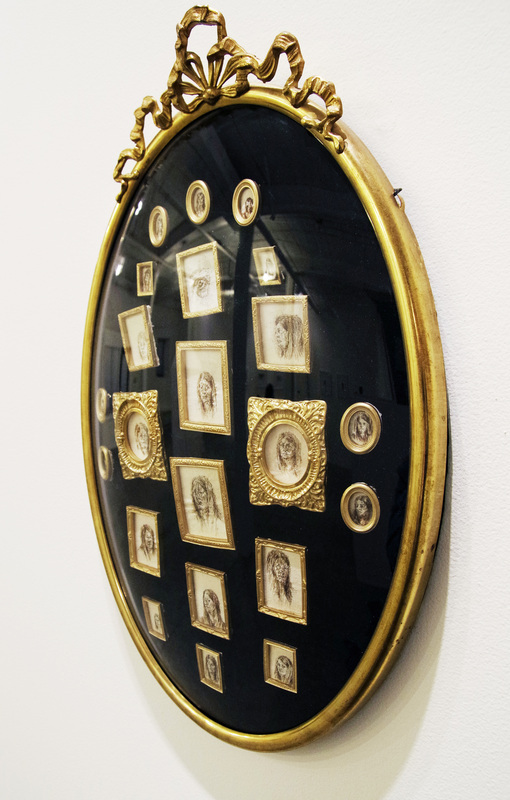 The image is roughly thumbprint size and the frames measure from 1-2 inches.